Everyone could use a little more Disney in their life. Don’t you agree? In between each Walt Disney World vacation you have to hold yourself over somehow! Here are my ten ways to incorporate a little bit of Disney magic in each day. “Hakuna Matata” is my jam. Whenever I hear that song come on, you can count on me to bust out those lyrics to the best of my ability (which, trust me, is not all that good). We all have those Disney songs that give us goose bumps and make us yearn for a trip to Walt Disney World. They also make for a great Disney jam session with friends and family, so turn up your favorite Disney tunes and sing along! Disney movie marathons are the best kind of marathons. (Especially for people like me who don’t run like me.) There’s nothing I like to do more on a Saturday night than curl up with some popcorn and watch movie after movie from my list of Disney favorites. Whether you’re obvious about it or not, I know I love wearing my Disney gear all the time. My favorite items from my Disney wardrobe are my oversized Mickey sweatshirt and my Disney rings. 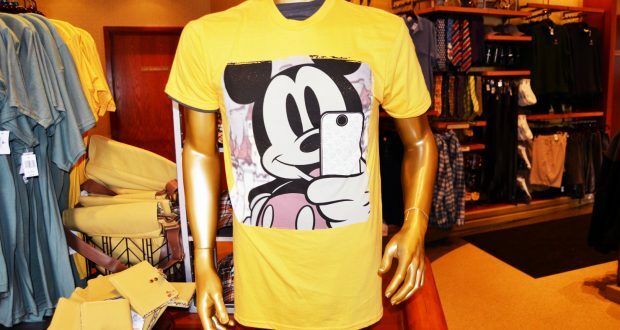 Aside from the classic gear, which includes Mickey/Minnie ears and themed clothing, the Walt Disney Company now has more practical Disney items for sale. Dooney & Bourke and Vera Bradley have both collaborated with Disney recently to sell their items with a Disney theme. They are great purchases for people who want to carry a little bit of Disney World around with them every day. I’ve been going to Walt Disney World since I was a little kid, and there’s no better way to reminisce than talking with family and friends about it. Going through old photos and bringing up stories from previous trips is so much fun, and it makes you want to plan more! Over the years I’ve had the opportunity to visit Walt Disney World with friends, and it has made our mutual love of Disney a part of the friendship, which is just so cool. You know that friend that says the funny lines of a movie before they happen? I’m that friend. One does not simply watch a Disney movie without quoting it the whole time! At a certain point, you’ve seen your favorite movies enough time to be able to quote them as you watch. It’s one of my favorite Disney-related activities. All best friends have inside jokes, but the best of the best have DISNEY inside jokes. Yes, my friends… it’s a thing. This one gets me all hyped up just thinking about it. Where are we going to eat? What fast passes will we pick? Where are we going to stay? Talking it out with your family and friends is so much fun! It brings out the Disney nerd in us all. There’s nothing more exciting than meeting another Disney super fan. You automatically have endless possibilities of Disney “fandoms” to talk about, which includes everything from your favorite restaurants, rides, and entertainment. Talk about instant friendship! One of my favorite perks of going to Disney is the food I get to eat while I’m there. Why not bring a little bit of that home with you? Walt Disney World’s recipes are mostly available online, (let the hallelujah chorus sing), on allears.net. It is my go-to website for Disney recipes and it’s kept up to date on all the recent menu changes and new restaurants. Making your favorite Disney dish is a great way to enjoy a Disney moment at home! The Walt Disney Company has recently begun manufacturing and selling more and more Disney-themed décor and cookware. Disney Springs Marketplace, offers the Marketplace Co-Op and the World of Disney store both sell classic Mickey themed cookware as well as more practical, everyday use options. My favorites include the Jungle Cruise and Haunted Mansion glassware and the Dole Whip bowls. What a great way to bring a little bit of Disney into your everyday!